K. Michelle and Azealia Banks have announced they will be embarking on a very special 20-date tour across North America this fall. The co-headlining tour presented by CENTRIC and BET commences in Indianapolis on 09/15 and will make stops in Chicago, Detroit, Atlanta, New York amongst many others, and wraps in Los Angeles on 10/15. 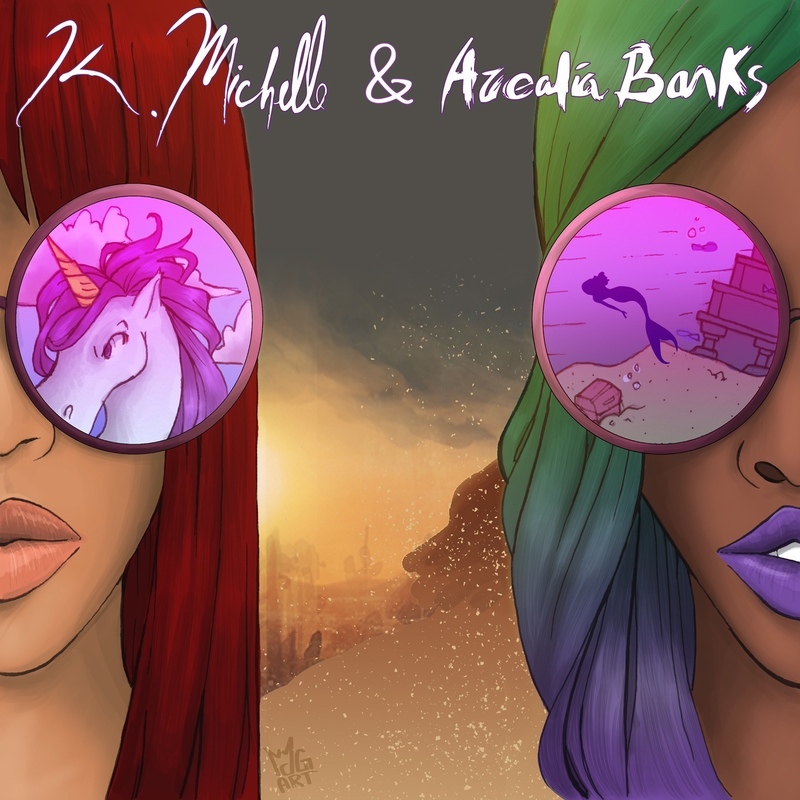 Both artists will be performing tracks from their current albums – K. Michelle’s "Anybody Wanna Buy A Heartand" and Azealia Banks’ "Broke With Expensive Taste" – as well as fan favorites from previous releases. For a full list of tour dates, see below. Please check with your local venue for specific on-sale date and time. Alongside shooting the second season of her highly rated VH1 docuseries, “K.Michelle: My Life,” her sophomore album Anybody Wanna Buy A Heart debuted at #2 on the Billboard R&B/Hip-Hop Chart and #6 on the Billboard 200, making it the top debut of 2014 for an R&B artist. Billboard named the album one of 2014’s Best R&B records, while Complex proclaimed, “K. Michelle is leaps and bounds ahead of many of her peers.” The Associated Press, Billboard, and Rolling Stone have all named Anybody Wanna Buy A Heart as one of the best R&B albums of 2014. Azealia Banks first entered the scene with her hit debut single 212 in 2012, since then she has gone on torelease her critically acclaimed debut album “Broke With Expensive Taste” in 2014and has performed in front of thousands, including appearances at Coachella Festival and sold out shows across the world. Recently Banks’ completed filming her first staring role in major motion picture film, and is currently touring across Europe. “Broke With Expensive Taste” was hailed as one of the best albums of 2014 by The New York Times, Pitchfork, TIME Magazine and Rolling Stone and has reached #1 on the U.S iTunes Hip Hop Charts,#3 in the U.S Album Charts (right behind Taylor Swift and One Direction), #1 in the U.K iTunes Alternative Charts, # 6 in U.K iTunes Album Charts, #1 in the Canadian iTunes Hip Hop Charts and #4 in the Canadian iTunes Album Charts.